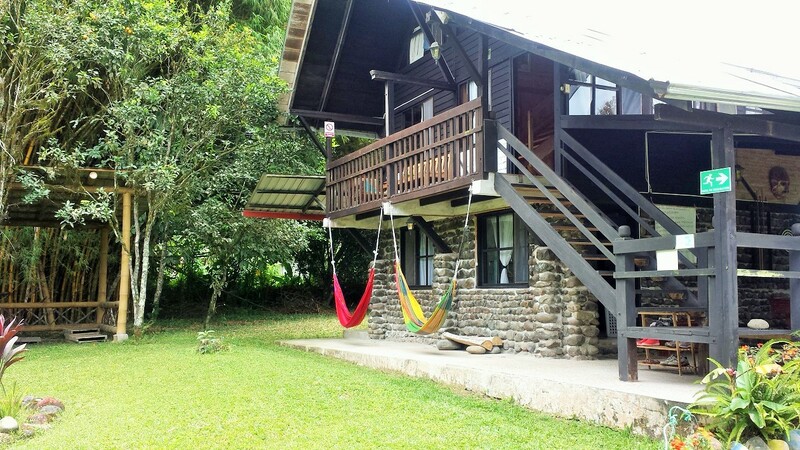 Casa de Piedra, Mindo, Ecuador | LOOK WHAT WE DONE! Are you the sort of person that would enjoy a little slice of tropical heaven? Are you not an idiot? Then have I got a treat for you, friend. Mindo, Ecuador’s hidden tropical secret, is about as cute as a town can be. It’s surrounded by mountains covered in thick rainforest, a lazy creek winds its way through the town centre, and a particularly low percentage of townsfolk bother with footwear. I was feeling overdressed in my pluggers. There are a whole mess of activities to get right in-and-amongst, from zip-lining to tubing to a kick-arse chocolate tour, and the chilled vibe extends far beyond the exposed feet of the town’s super cool residents. It’s just a nice place to be, dudes. So good, you’re coming to Mindo. Terrific choice. But before you book anywhere, don’t book anywhere, because we’ve found the best spot to rest your weary, adrenaline-filled, Mindo affected head. 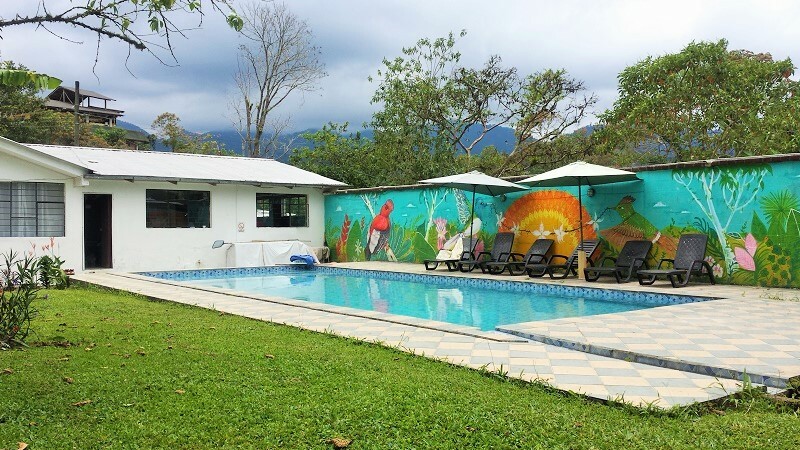 2 ½ years ago Henry Guillen took control of Casa de Piedra, a little hotel/hostel/B&B on the banks of the river just a 3-5 minute walk from the centre of Mindo. He’s spent the entire past 30 months putting his version of spit and polish on it, and the result is friggin’ beautiful. Wandering in to the place sort of feels like you’re wandering straight into the jungle. The plantlife around the site is plentiful, but kept in check beautifully. The buildings are all either partially obscured by plants, or made of them like the bamboo patio out the front. Want to feel like an explorer? You’ll sort of feel like an explorer maybe. You’ll check-in in the lobby, wandering through a restaurant that does a cracking breakfast at a very reasonable rate. The décor fits the nature theme a treat. The building with most of the rooms, including private dorms and doubles, is located down a cute stone path. There’s a games patio built into the bottom level with foosball, dartboard and pool table to dominate at your whim. I tried to shark a couple of people with a few games of 8-ball but ended up losing my watch. THE HUMIDITY PUT ME OFF OKAY?? 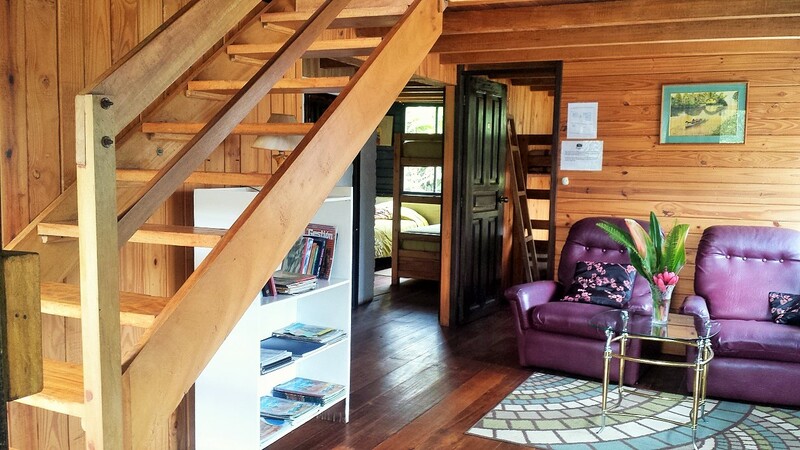 The rooms themselves are super nice, with timber furnishings that blend awesomely into the timber building. There are chill-out and communal areas dotted throughout the 3 storeys, so if you were keen to recline like a male model in nothing but your sock-stuffed jocks and wink at passers-by, you’re covered. There’s also camping on site, and a beautiful self-contained wooden house out the back, and a free-to-use barbecue area that’ll have you producing the meatiest of fry-ups during your stay. AND THERE’S A POOL. For the first time since we started our shenanigans at the top of Colombia, there’s a water-filled, lagoon blue, no-running-signposted POOL. Yeah we had a dip or two. Might’ve even dived in. What of it? You could totally swim in it! The staff were brilliant. Sara and Mariela got all our activities sorted with a big old smile on their dial, and were keen to offer a helping hand or a sly bit of local advice whenever required. 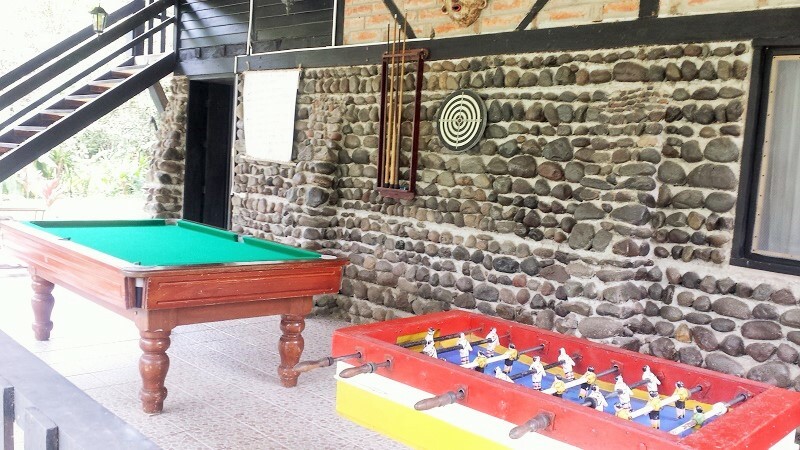 All in all, Casa de Piedra is the ideal location to maximise your Mindo adventures. The place is just a microcosm of the town itself – beautiful, relaxed, and anything but boring. If you think you’re ready for a slice of Mindo life, contact Casa de Piedra via their website or Facebook page.